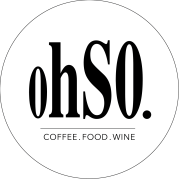 Situated in a quiet area of Ponsonby and Grey Lynn, you will find ohSO cafe & bar on the corner of Crummer Road and Mackelvie Street. Your favourite all time local cafe known for its great food, friendly service and fantastic Allpress coffee. Our spacious cafe offers an outdoor deck area to enjoy your coffee in the sun. We have recently revised our interior so the ambience is even better than ever! ohSO is a great place for hosting business meetings, private functions and special events. You can enjoy your favourite Asahi or Somersby Cider with our range of bottled selection as well! We provide super convenient free parking with free wifi. Everything you need at your local cafe.